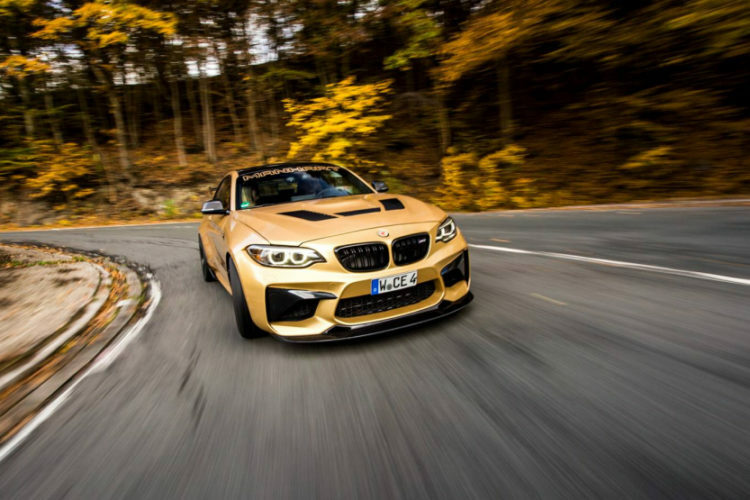 German tuner Manhart has officially launched their tuning project based on the BMW M2. Dubbed Manhart MH2 630 BMW M2, the super sporty compact coupe takes the standard looks and performance of the M2 to a new level. Limited to five units, the BMW MH2 630 uses a modified engine from the M4 producing 630 horsepower and 750 newton meters of torque. The engine is the same unit S55 but is BiTurbocharged and has been fitted with the M4 DCT Gearbox. 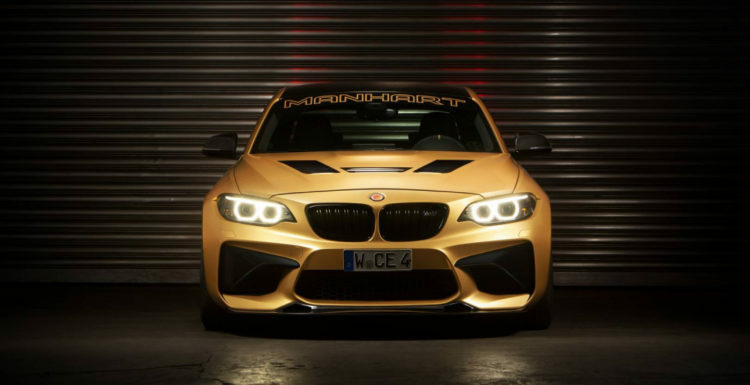 Manhart presents their interpretation of the M2 in a gold color, specifically in the BMW Individual color “Sunburst Gold Metallic”. Since the interior of the Manhart racing cars are presented in a typical Manhart design customization, the exterior color matches perfectly with the yellow accents inside the car, like an alcantara stering wheel and Recaro Sportster CS Seats. A comprehensive aerodynamic package has been fitted to the car, starting with a carbon fiber bonnet with a power dome, and continuing with large air intakes and a front splitter, bumper with new air ducts and a spoiler lip. 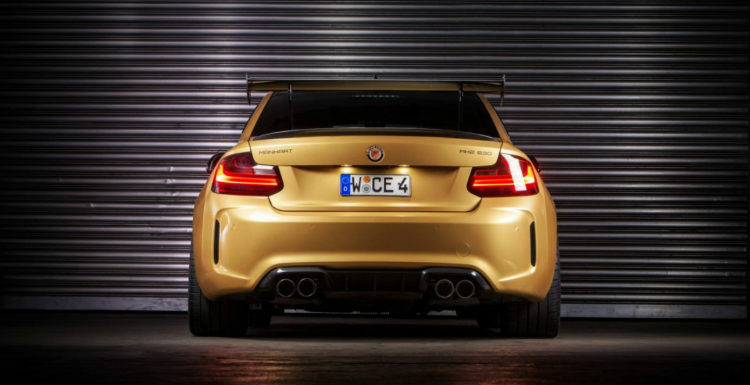 BMW offer a line of M Performance parts made of carbon that Manhart have opted to install – rear diffuser, side skirts and rear wing. There is also the usual Manhart wheels, here completely in black showing the yellow-gold-painted brake callipers. The car also sits lower on a set of Manhart Clubsport 3 way by KW springs that also aid handling. The wheels are Manhart Concave ONE. The significant increase in power and torque must make the MH2 a beast to drive, but the company has yet to reveal its standard sprint times.